Spiral ducting. or spiral pipe. can be used as a complete duct system or as a branch line to connect the duct trunk line to the air distribution. During the installation, the spiral pipe must be cut to length. Cut the end of the spiral ducting square to allow the cut side to be properly connected to the trunk line tap, coupling or round fitting. There are many methods of cutting, but the fastest and easiest is cutting the spiral pipe with a grinder and an abrasive cutting wheel. Measure and mark the length needed on the spiral pipe with the tape measure and permanent marker. Lift the pipe until the area around the mark is off the ground. Slide the pipe wrap around the spiral pipe, and lower the spiral pipe back to the ground. Pull both ends of the pipe wrap with your hands. When the ends of the pipe wrap are the same height above the spiral pipe, lay the end of the pipe wrap (located in your right hand) across the pipe, with one edge of the pipe wrap aligned with the mark you placed on the pipe. Lay the end of the pipe wrap in your left hand over the pipe wrap end that is lying on the spiral pipe. Place your hands on each side of the pipe wrap. 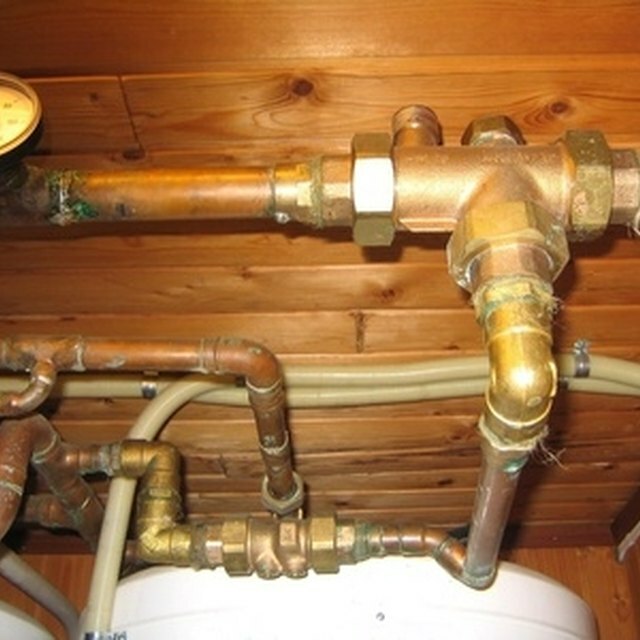 Gently move the pipe wrap back and forth, while making the pipe wrap tight to the spiral pipe. When the edges of the pipe wrap are even, mark the pipe wrap edge aligned with your mark from Step 1 with the permanent marker. Make sure that the line continues completely around the spiral pipe. Remove the pipe wrap from the spiral pipe. Put on the safety glasses and face shield. While wearing leather gloves, attach an abrasive cutting wheel to the 6-inch grinder. Depress the grinder's trigger. Lower the grinding wheel onto the line that you marked in Step 3. Apply light pressure to the grinder, and cut through the spiral pipe. Holding the grinder in place, slowly spin the spiral pipe to perform the cut. Hold the spiral pipe in place, and slowly move the grinder along the line when you reach the thick rib that holds the spiral pipe together. Clean the bur from the cut end of the spiral pipe with the grinder. Cut the point that falls from the spiral pipe rib with the grinder to eliminate the puncture hazard associated with the rib point. Allow the cut end to completely cool before handling the spiral pipe.